As a local living in San Antonio you should feel proud to be in one of the fastest growing cities in America. 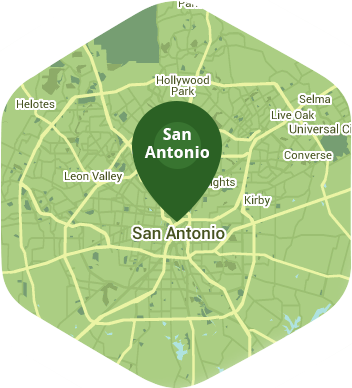 From the Alamo Mission all the way to its world-famous Riverwalk, San Antonio is a truly beautiful city and at Lawn Love we'd love to think that we help play a small part in that. Lawn Love is putting in a modern day touch to the yard care industry. Whether you're looking to have your lawn aerated or mowed, or have your garden worked on, our company is committed to providing you with excellent service for an affordable price. We make booking and scheduling everything very easy and straightforward, and our independent team of lawn technicians are all highly experienced and are no strangers to caring for yards all across San Antonio. They are aware of the many kinds of pests, grass types, and seasonal challenges that are present in this particular region, so you can rest assured that they will have an answer to whatever situation they are dealt with. We truly believe that we can bring about some positive changes to your yard and we are more than willing to prove it to you. We offer a full satisfaction guarantee to our clients. If something seems to be off or hasn't been done properly, your lawn tech will come back to your home and fix it for you – for absolutely free! Give us a call now at 210-802-4223 to book our services, or request for a free two-minute quote online. Here are some average prices for homes in San Antonio. Average size of area treated 4,336 sq. ft.